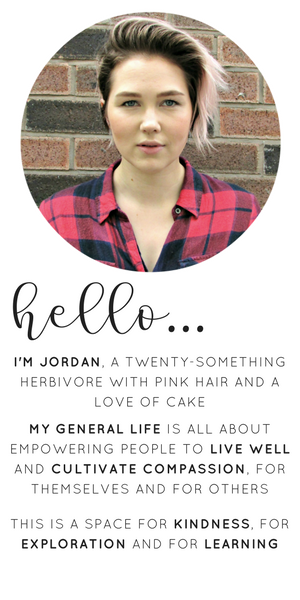 A couple of weekends ago I set out on a mission to create my own vegan chocolates. I love chocolate so having yummy treats about that I can tuck in to is high on my vegan food priority list and something I was keen to try for myself. 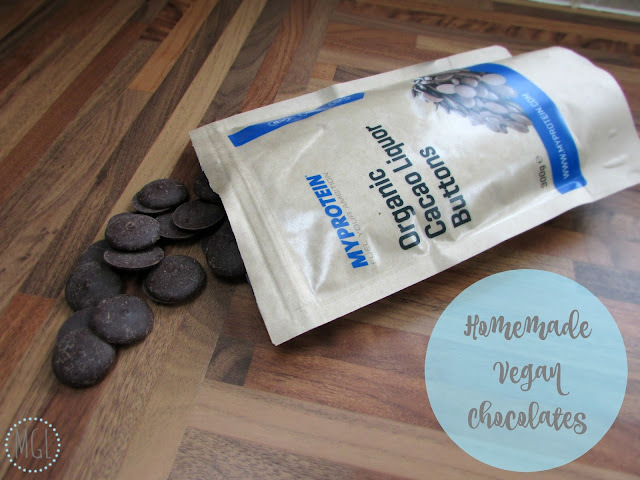 I was lucky enough to be sent some Myprotein Organic Cacao Liquor Buttons* that I was keen to do some testing with, my initial aim being to produce some peanut butter cup style chocolate treats. Let me tell you a little secret...many moons ago I dreamt about owning my very own chocolate shop. I'd spend hours researching and making delicious tasting truffles. Anyway, that went out the window when I came to the conclusion I hated my hospitality management and culinary arts degree and ended up going in a polar opposite direction. 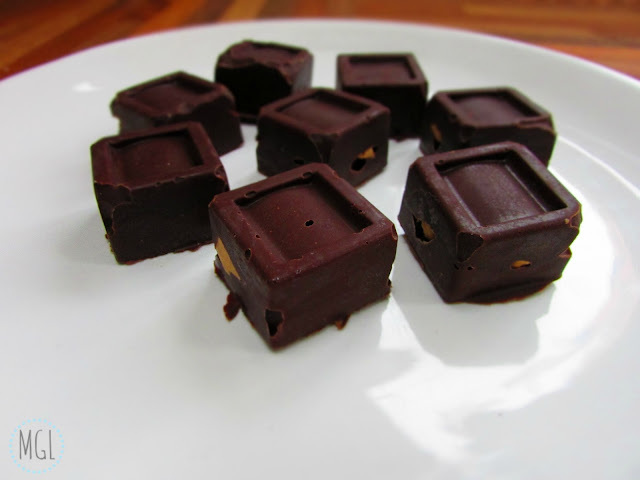 So, we've digressed ever so slightly, back to my peanut butter chocolates. 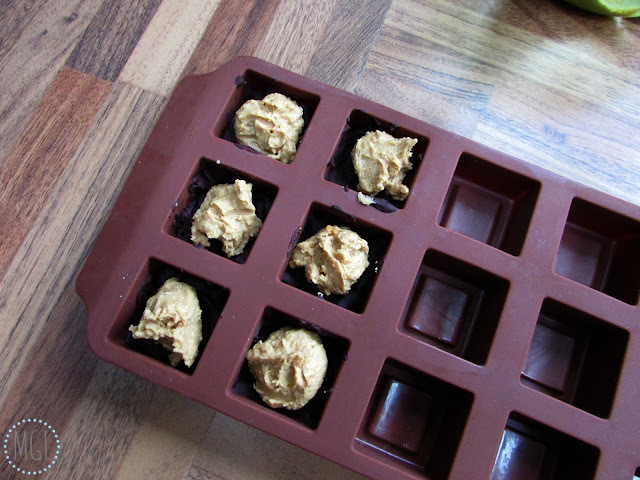 I decided after scouring my cupboards that I would use up some of my PPB stash as the peanut butter element, which meant I had total control over the consistency of my filling. As for my chocolate, I opted for melting it and adding in some Sweet Freedom fruit syrup to take the edge off the bitterness because there is no sweetness whatsoever in the buttons. Once I'd layered everything up, I popped it in the freezer to speed up the process (I'm impatient when it comes to treats). And holy moly they worked! They bloody worked - can you tell I was pretty impressed. In terms of the taste test, the chocolate is still very rich and dark so I'd probably use a bit more Sweet Freedom next time, but other than they they were pretty damn good. 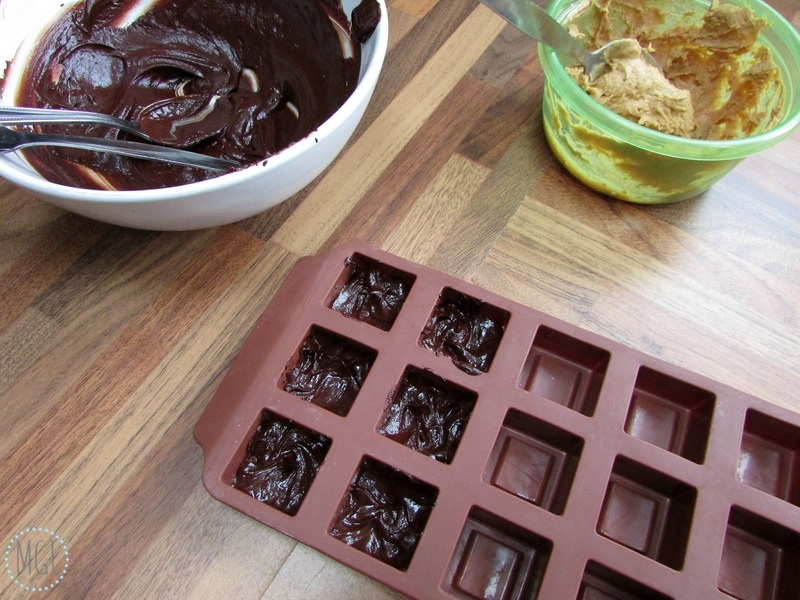 Have you tried making your own, homemade chocolates? I'd love for you to share your successes and recipes either in the comments below or drop me a tweet @mygenerallife. While you're here, why not check out my previous post: Recipe | Easy Mexican Beans.